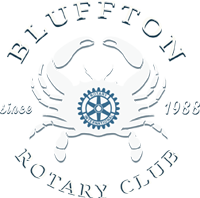 District Governor Visits Our Club! On September 19, District Governor David Tirard and Assistant Governor Nancy Reidel were honored guests at our morning meeting. David spoke about Rotary International's substantial impact, particularly in terms of its commitment to eradicating polio and to helping those who are less fortunate - both at home and abroad - over its 113 years of existence. He also inducted Joanie Iaco into the Paul Harris Society. One of the things he hopes clubs will do between now and July 1 is establish a "Little Free Library." Our Club plans to add one of these to the Field of Dreams as soon as the pavilion is finished. 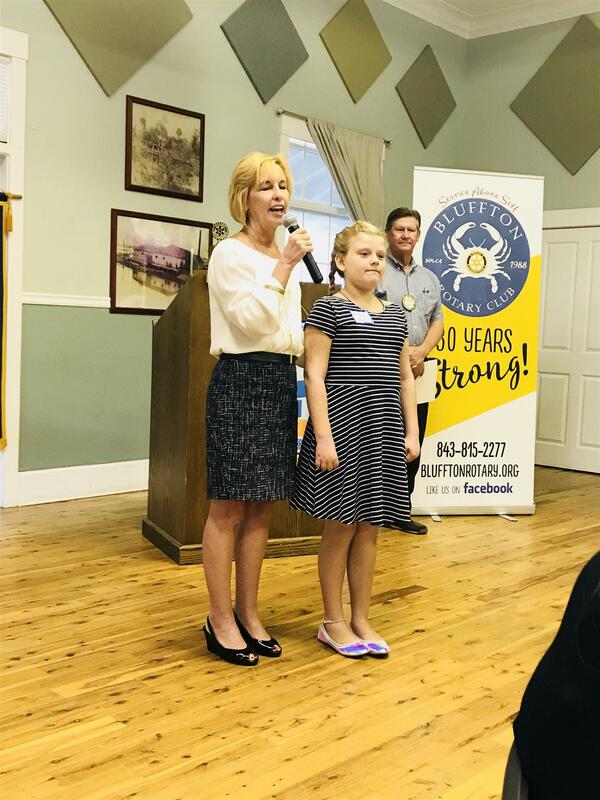 All in all, the District Governor commended the Rotary Club of Bluffton for its positive and substantial impact in the Greater Bluffton community, and encouraged us to keep up the good work! Thank you District Governor Tirard and Assistant Governor Reidel for visiting our Club and for all of your contributions to District 7770!